Despite stereotypes of being selfish and shallow, millennials are a generous generation. A staggering 84% contribute to charities, and many say they wish their incomes allowed them to do more. Unfortunately, after rent, student loan payments and other essentials, there’s often not much left over to give. Giving blood is one of the quickest and most direct ways to impact — and even save — someone’s life. Organizations like the American Red Cross and OneBlood offer convenient blood donation events and even mobile trucks, so you can donate without disrupting your schedule. Go through your closet and collect any items that you haven’t worn in a while. 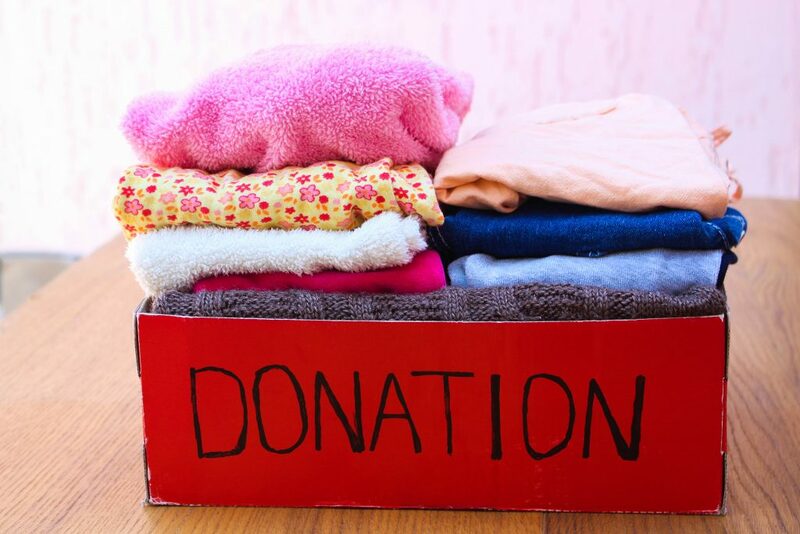 These clothes can be donated to homeless shelters, domestic violence safe houses or thrift stores. Work-appropriate attire is especially in demand; organizations like Dress for Success provide interview clothing and a basic professional wardrobe to impoverished women entering the workforce, giving them the necessities to get a job and build a family-sustaining career. If you’re like many, you may have stocked up on canned goods or packaged foods and then forgotten about them. Protein and nutrient-rich cans of tuna and beans are especially in demand. Check your cabinets and donate excess items to local food banks. While you may still feel like you’re struggling with this whole “adulting” thing, thousands of kids and teenagers would look up to you. Mentoring.org is a site that links people like you with organizations and individuals looking for guidance and advice. You can provide young people with much-needed support and encouragement, helping them build a better life. You don’t have to spend extra money to give back. By shopping at Smile.Amazon.com, a percentage of each purchase you make will go to the charitable organization of your choice. Students who are not reading at the age-appropriate level by third grade are four times more likely to drop out of high school later on. Many students are behind because of a lack of books in their homes and schools and because no one is available to read with them. Programs like Reading Pals and Reading to Kids aim to combat this problem by connecting volunteers with at-risk children. With a commitment as low as 30 minutes a week, you can read to a child, developing their literacy skills and helping them stay on track with their education. If you like to cook, you can volunteer at soup kitchens or neighborhood food banks to create nutritious meals for those in need. If you lack culinary flair, you can still help by delivering meals to the elderly or those who are mobility-challenged through programs like Meals on Wheels. Use your social media skills and connections to raise funds for a charity. You can set up a campaign on GoFundMe by just setting a financial goal and writing a compelling case. Share the link on Facebook, Twitter, and other social platforms and engage friends in building awareness and increasing donations.